Curious to see perfect home business ideas for women who want to work part time? All of these profitable small business ideas allow for flexible scheduling of your moneymaking activity around other home responsibilities. Each of the business ideas for women are accompanied by “how-to-start” resources showing how real people started the business you may now be considering. These start-up resources can prevent you from making valuable time and dollar mistakes while giving you increased confidence. Many women enjoy the creative element of their lives by making crafts and then selling them here and there. If you now want to treat this hobby more seriously and earn a more substantial income please see Starting a Craft Business on a Solid Foundation. Your opportunities are discussed here. If you want to go further in learning to maximize your part time effort then I suggest this low costing resource. This is a stunning resourse. For a no nonsense straight forward guide to ensuring your craft efforts will thrive, please consider acquiring Patrice Lewis’s 165-page ebook, The Home Craft Business. Companies are global selling their products and services worldwide. And, this is not just the multi-national corporations, but tiny companies and even individual entrepreneurs who have an online business. The need for translators is in demand. Here is the requirement for making real money part time: You must be absolutely fluent in two languages. The highest demand is for individuals to translate a foreign language into their native language. For example, if English is your native language but are fluent in Arabic, Spanish, French, Polish, Chinese, etc., your skills are in demand. Translation positions require you translate other langues into your native language and not the other way around. According to the American Pet Products Association there are over 78 million dogs in the U.S. with nearly $13 billion spent on dog food/treats. That’s huge market! 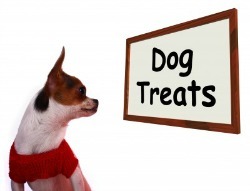 With today’s emphasis on holistic and nutritious pet food, making and marketing dog treats is a growing industry. All you need is to know how to start and grow your effort. So, here goes.